Language cannot be separated from human’s life. It is one of the universal systems in a culture that functions as a means of communication. It enables people to interact, communicate, and make sense of the world so that it is dynamic, and it develops and changes over time as a result of many different influences. In addition, it is used by human beings in communicating with each other, both in oral and in written discourse. English is one of languages, which are used by people all around the world to communicate with each other. In Indonesia, a lot of people are interested in learning English as a foreign language, because they know that English is the international language used in many countries all over the world. Besides, English is considered to be the first foreign language there, because it has an important role in international communication. Consequently, now English is taught in schools, from playgroups until university level. For Indonesian learners, the ability to speak in English is a kind of dream which comes true, because there are few Indonesian learners who can speak English. Learning English as a foreign language is quite difficult because there are so many differences between English and Indonesian culture, it has different system of language; it has different grammatical structures, differences in meaning of words, and different sound system. 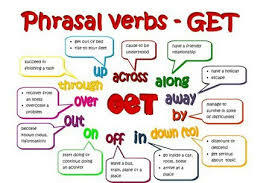 Belum ada tanggapan untuk "A STUDY OF STUDENTS’ MASTERY OF PHRASAL VERBS"